Urban Foundry is a multi-disciplinary creative agency; a vibrant hub of experienced and passionate people – doers – who want to make fun, creative stuff happen, and who know how to do it. We bring a wide array of skills and expertise, a bit of clever thinking and mix it up to support your ideas and deliver great projects with meaningful results. Uplands and Marina Markets is an Urban Foundry project. Copper Bay Creative are a Swansea based creative agency, offering various marketing services including graphic design, websites and print. They designed, developed and built the new Uplands Market website and administration system. With great design and creative thinking, GMID can help you to seize opportunities, add value to your company, communicate with your customers and stand out from your competitors. 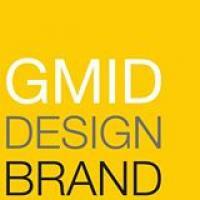 GMID design and branding helped us with our design and branding and are generally just really helpful. Check them out! SCVS is the umbrella organisation for voluntary activity throughout the City & County of Swansea, supporting, developing and representing voluntary organisations, volunteers and communities. 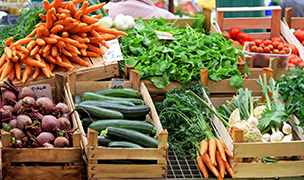 The Market has been supported with a small grant from SCVS. The funds are supported by the City and County of Swansea Council. The market is a social enterprise - a not for profit company limited by guarantee. 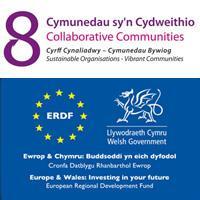 Collaborative Communities is a European Convergence funded project supporting social enterprises in the local region. We are very grateful to them for a start up grant for establishing the Uplands Market.